Roosevelt Islander Online: Dueling Tweets - Is Roosevelt Island Like Game Of Thrones Iron Islands Dump Or A Place With Grass And Trees Good For Your Mental Heath? Dueling Tweets - Is Roosevelt Island Like Game Of Thrones Iron Islands Dump Or A Place With Grass And Trees Good For Your Mental Heath? Is Roosevelt Island a dump like the Game Of Thrones Iron Islands? The Iron Islands are a dump, this is like de Blasio ceding Roosevelt Island to New Jersey in exchange for a large cash incentive. Here's Iron Islands scene from last night's Game of Thrones episode. 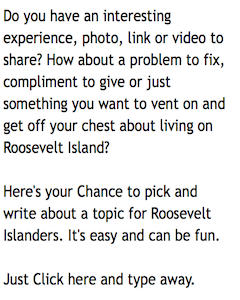 Or is Roosevelt Island a place of grass and trees that's good for your mental health?